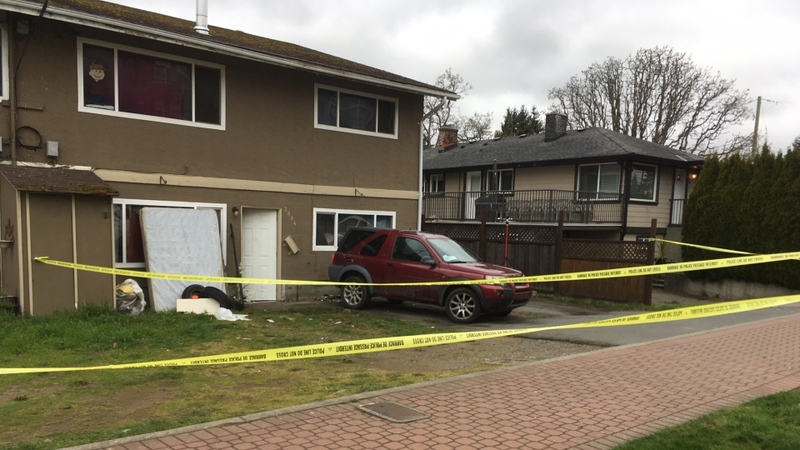 A suspect has been arrested after a man was shot in Langford early Friday morning. West Shore RCMP were called to a disturbance at a residence around 12:30 a.m. in the 2800-block of Jacklin Road. 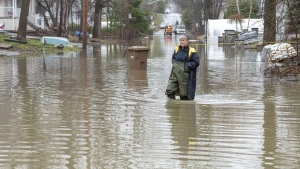 "I just saw a guy dressed in black who was in distress for sure," neighbour Tannis Gudmundson told CTV News Friday morning. "He was walking quickly away from the crime scene." When police arrived they found a man who had been shot. He was taken to hospital with non-life-threatening injuries. No one else was injured. "He's expected to make a full recovery," said West Shore RCMP Const. Nancy Saggar. "It just sounded like a loud bang," Gudmundson added. "It sounded like somebody could have like slammed a door really loud." Police say the shooting is believed to be targeted. "It's kind of scary when it's that close to home obviously. I have four young children," neighbourt Jim Grant said. "Obviously you don’t want to see that in your neighbourhood." At approximately 1 a.m., the Sooke RCMP set up a road check in the 5500-block of Sooke Road. Just over an hour later, police stopped a westbound Ford SUV. Police said a 53-year-old Victoria woman was driving and a 22-year-old Victoria man was slumped down in the backseat without a seatbelt on. After checking his identity, police found he was the subject of a firearms ban. When the man stepped out of the vehicle, an officer saw ammunition protruding from his pants pocket, police said. When the officers tried to arrest the man, he fled on foot eastbound on Sooke Road to Woodlands Road, stopping at a property in the 5800-block of Blythwood Road. Police say the man was combative and a Taser was used to subdue and arrest him. The driver was also arrested on outstanding warrants. The man has been released on a promise to appear for breach of probation on June 27 in Colwood Provincial Court. 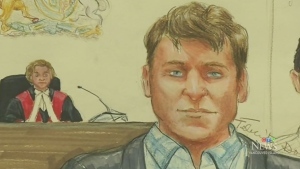 "At this point the West Shore RCMP are investigating to determine if there is a connection between this male and the shooting in Langford," said Staff Sgt. Jeff McArthur of the Sooke RCMP.